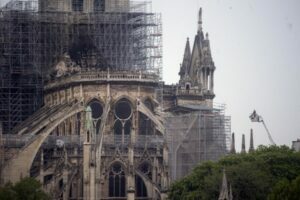 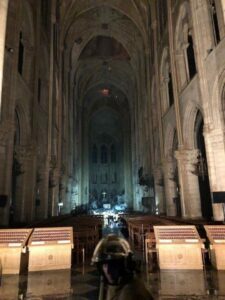 Photos are emerging of the damage to the interior of Notre-Dame. 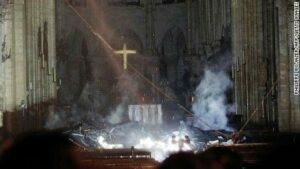 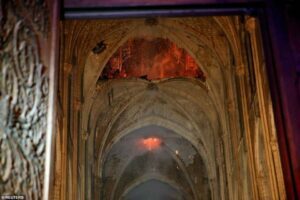 The collapsing spire punched a hole in the vaulted stone ceiling and burning material heaped in nave. 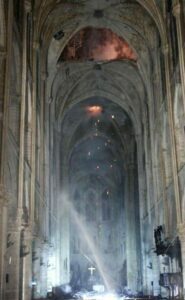 This morning’s images show the scale of destruction caused by the devastating blaze. 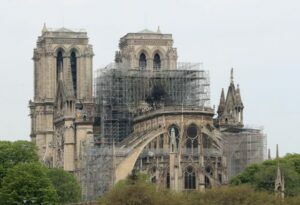 Water from the fire fighting effort and heat from the burning roof will likely have a structural effect on what remains. 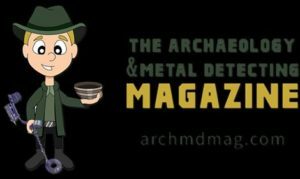 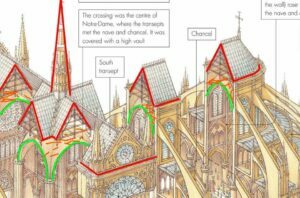 Notre-Dame was already noted as having ‘crumbling’ masonry in places due to pollution and erosion.